If all airlines were graded in stars the same way as hotels, then Qatar Airways would undoubtedly have 5 – maybe more! 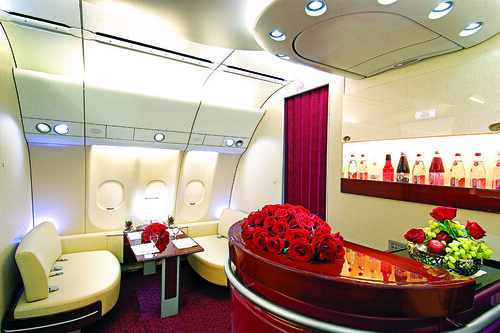 Qatar Airways is one of just a few airlines to hold the prestigious Skytrax 5 star ranking in addition to numerous accolades, including the hotly contested World’s Best Business Class and Economy Class. This is pretty impressive for a relative baby of the airline industry – the airline boasts an average aircraft age of less than 4 years old. With a new aircraft joining the fleet each month, a string of new routes launching and high tech advancements enhancing the passenger experience, Qatar Airways has also become one of the fastest growing airlines in the world. The Skytrax 5 star rating is only awarded to airlines achieving the highest quality performance and in-flight experience and Qatar Airways are one of just seven airlines to be awarded this ultimate ranking. It has also won ‘Best Middle East Airline’ for six consecutive years. How did Qatar win all these accolades? Perhaps it was due to the exquisite 10 course meal in First Class consisting of a medley of tantalizing delights such as caviar, lobster, Arabic mezzas and fine chocolates? Perhaps it’s down to the award winning Business Class cabin which features 180 degree flat bed seats, foot rests with 8 in-seat massage settings and state-of-the-art touch screen in-flight entertainment with your own monitor and 900 options to select from? Or perhaps it’s because the 5 star service extends to the Economy cabin where you can find one of the world’s most generous seat pitches of up to 34 inches and a four course in-flight meal service? We suspect it’s because Qatar Airways does all of the above! Qatar Airways are award winning on the ground too. 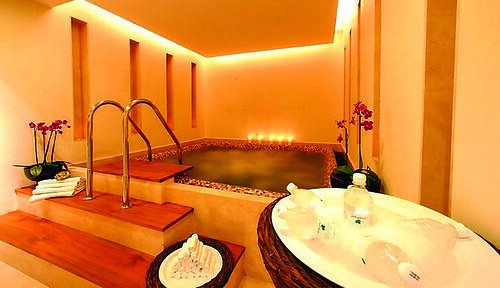 The airline received the accolade “Best First Class Lounge” for its Premium Terminal at the carrier's Doha hub – a facility for exclusive use by Qatar Airways’ First and Business Class passengers – that includes a luxurious spa. The airline boasts one of the youngest and most modern fleets in the sky – with an average aircraft age of less than 4 years old. Not only does this mean Qatar Airways can offer the most up to date technology; they also operate one of the most fuel efficient fleets. 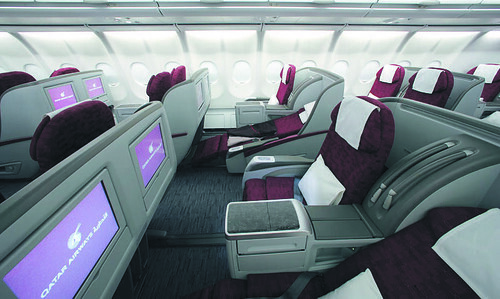 Qatar Airways were one of the first airlines to operate the new Boeing 787 Dreamliner - the most efficient aircraft in the world – and recently announced a new seat configuration for their 787’s, which means even more space for Business and Economy passengers as well as a revamped in-flight entertainment system that will include on-board Wi-Fi. Other advancements include each seat being fitted with USB ports so you can flick through your holiday snaps on the personal screens on the way home, as well as iPort connectors which allow you to connect to your iPod and iPhone content. With Qatar Airlines currently operating 49 flights a week between London Heathrow, Manchester and Doha you can connect to over 100 destinations worldwide. So the only question is; where will you go? 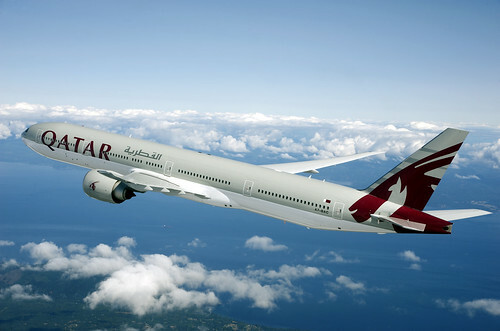 To view all Qatar Airways routes and current deals on fares visit our website.